This development kit consists of a simple desktop shaker with a suitable power amplifier unit, several MFC generator structures and three electronic modules with different harvesting and conditioning circuits. It enables scientists with mechanical and electrical engineering background to study the relations between mechanical input parameters and electrical outputs. The excitation for the harvester can be applied either using an internal sine wave generator or alternatively, a sampled signal from a real environment supplied to the 0dB external source input. 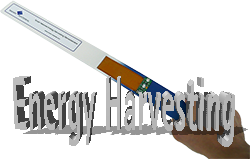 A simple energy harvester demonstrator comprised of a glass fiber beam, and one M8528P2 MFC for harvesting energy by shaking the unit. 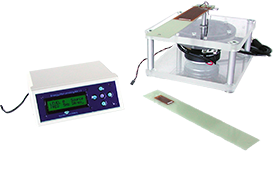 The demonstrator has an integrated rectifier with three LEDs, which will light up one by one depending on the frequency and the amount of acceleration one can induce by shaking the unit. 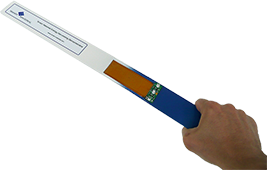 The demonstrator is great for educational use or simply showing how much energy can be generated by simply shaking a beam. The AmbioMote24 combines highly efficient energy conversion and storage, a high-speed wireless interface, and user sensor interfaces with intelligent power management algorithms that maximize energy delivery from the energy harvester. 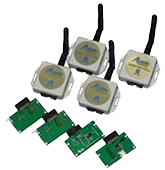 This development kit allows easy test of a wireless energy harvesting setup, using a P2 type MFC to harvest energy for relaying sensor based data to a remote receiver. The kit comes with several AmbioMotes, sensors and a USB interface. Configuration and visualization software is included with the kit. The kit includes a MFC M8528P2 harvester.